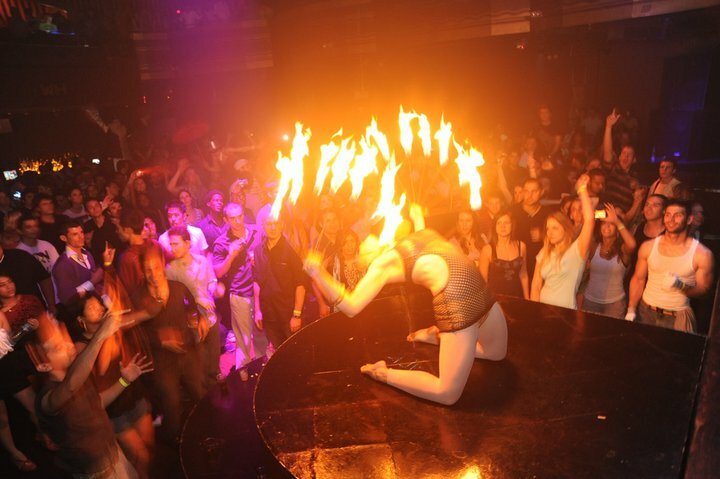 Fayzah Fire is a top solo NYC female fire performer who’s performances have been described as “epic”, “beautiful & amazing”, & “I’ve never seen fire performed that way before, wow!” Credits include Top Talent USA, ESPN, and sharing stages with celebrities such as Wyclef Jean. 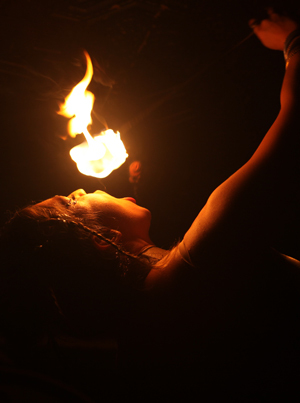 In addition to being one of the few female fire breathers, she is a highly versatile & skilled fire eater and performer. She has done solo acts at NYC’s Grand Ballroom in Webster Hall, and filmed performance for Hollywood Music Center DVD, in L.A. Fayzah is also a professional dancer and is regularly invited to teach/perform in many countries throughout the world. She has done live fire performances in the US, Caribbean, and Mexico. She is available to perform for events such as theater shows, corporate events, private functions, festivals, weddings, music videos, feature films, and television. Her performances cater to each occasion specifically, creating magical environments with different themes. You can catch her doing balancing acts (literally high up in the air & also balancing lit props on her head), incorporating unforgettable audience participation, breathing fire, and feeding herself fire with her feet, in amazing costumes! ≈Eating fire. Human candle. Feeding herself fire with her feet. Torch twirling and fire eats. ≈Flaming grape act. Eating flaming grapes & feeding to some audience members. Balancing tray of fire on head and dancing. *LED lights can be substituted for fire with some of the props. ≈HIRE FAYZAH FOR YOUR NEXT EVENT! 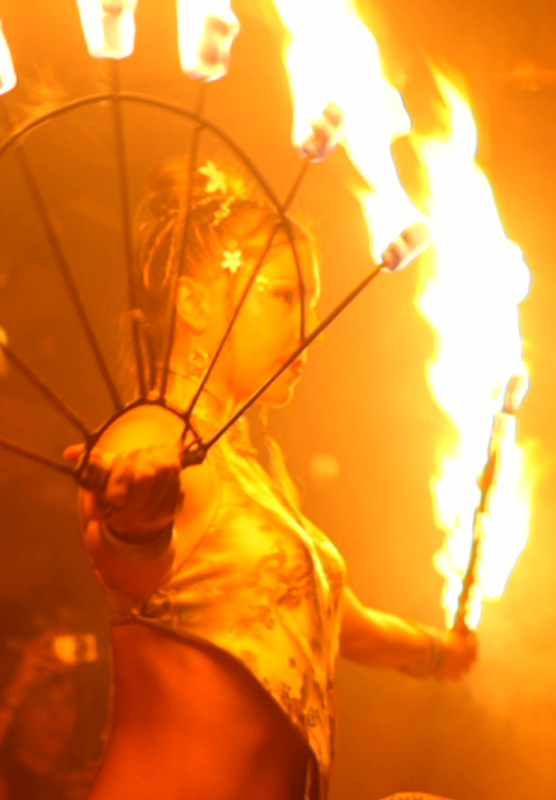 SHE IS AVAILABLE TO TRAVEL, AND HAS UP TO DATE FIRE PERFORMER INSURANCE. FAYZAH PUTS A HIGH PRIORITY ON SAFETY, SO THAT YOUR EVENT CAN BE BOTH BEAUTIFUL AND SAFE. Please note Fayzah does not teach fire performance. She is available for performances only. hold a lit torch in the mouth was set by Flambeaux Fire at 55.53 seconds. Tatütata: Hört man dieses Wort, dann weiß man, dass in der Nähe etwas brennt.